You can enter to win the items on this page! 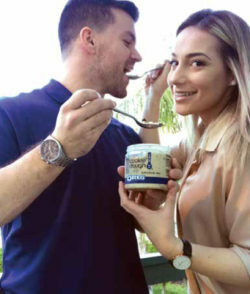 Go to orjewishlife.com/i-feel-lucky to enter! Celebrate Hanukkah with this lovely menorah with Mah Jongg tiles on a wood base. 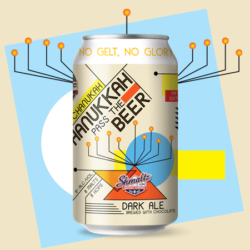 No matter how you spell Chanukah, imbibers will be holding the official chosen beer for this holiday season. Dark Ale Brewed with Chocolate. This 2019 calendar is full of really nice Jewish guys (who are really single) who you can take home to Mom. PillRite is a medication/vitamin/supplement organizer with an easy and simple-to-use, four week, twice daily system. Cookie dough you eat raw! Brownie Batter, Chocolate Chip, Oreo Single, Naked Dough and Confetti Cake from the Cookie Dough Café. Certified kosher. 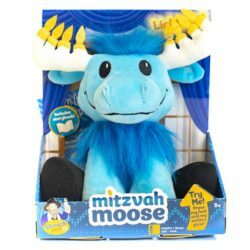 Mitzvah Moose includes a storybook entitled, The Miracle of the Mitzvah Moose, whereby Moshe the Mensch helps the moose complete 8 “mitzvot” (AKA good deeds) to light-up his antlers. The Mensch on a Bench introduces Ask Papa, the follow-up to the hit, Ask Bubbe! A sweet, and lovable plush talking grandfather doll who answers your question with 14 hilarious Jewish phrases. Luxury meets functionality with this pyramid-shaped ICON Au gold infuser, paired with Onyx black Tea Tray.